You can't have a Batman without the Batmobile! The Batmobile may arguably be even sleeker and sexier than Batman himself -- and the vehicle isn't just all for show. The self-powered, armored car driven by the DC Comics superhero is kept hidden in the Batcave (naturally) and is used to fight crime in the city of Gotham. And while Batmobile may seem like a thing of fiction, the vehicle is actually parked at the Warner Brothers studio in Hollywood, California. The Warner Brothers back lot is also where Gotham City is located -- on Hennessey Street. Countless of "Batman" movies, from "Batman Returns" to "Batman Forever," have been filmed on this one street. Unknown to most, hit TV shows "Big Bang Theory" and "Friends" also shot scenes on Hennessey Street. Ben Affleck as Batman in the highly anticipated Batman v. Superman, slotted for a 2016 release. Lewis Wilson as the inaugural Batman in Columbia Pictures 1943 release. The first Batman sequel in 1949. Batman is played by Robert Lowery. 20 years post Adam West came the Tim Burton era, where Michael Keaton portrayed the infamous bat. Two years after Batman Forever, another new actor took on the titular role, George Clooney. 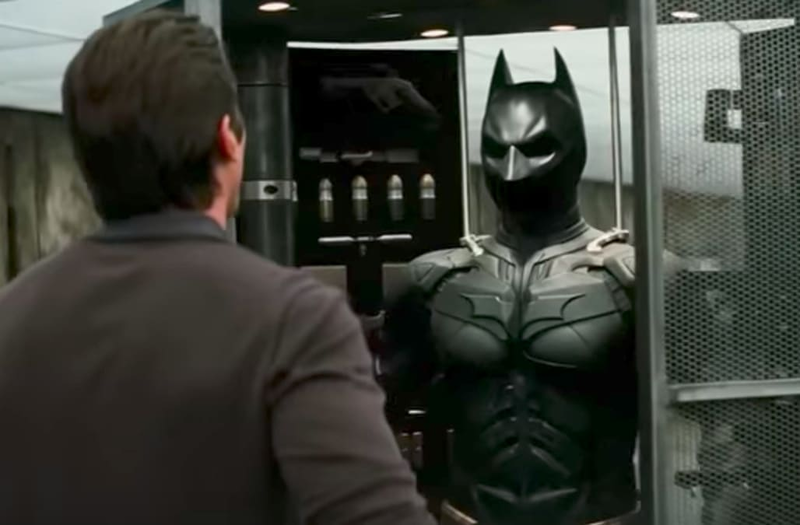 In 2005 with Batman Begins, the franchise got a huge reboot due in part to director Christopher Nolan taking a darker less comical direction and to the casting decision of Christian Bale as Batman. In 1978 Christopher Reeve took on the role, producing one of the most iconic Superman performances to date. In 1993 Dean Cain took on the role in Lois & Clark: The New Adventures of Superman , the series went on to run for four seasons. One area of the studio -- naturally named the Batcave -- houses all the original Batmobiles. While the vehicles perform unbelievable stunts in the movies, like transform into a jet, obviously it can't do that in real life. However, they are all fully functioning vehicles and not just props, meaning you can take it out on a joyride. Forget the Porsche, can you imagine driving along PCH in that?! There are more secrets that lay hidden inside the Warner Brothers studio. Find out more -- including one about "Pretty Little Liars" that will blow your mind -- in the video above!